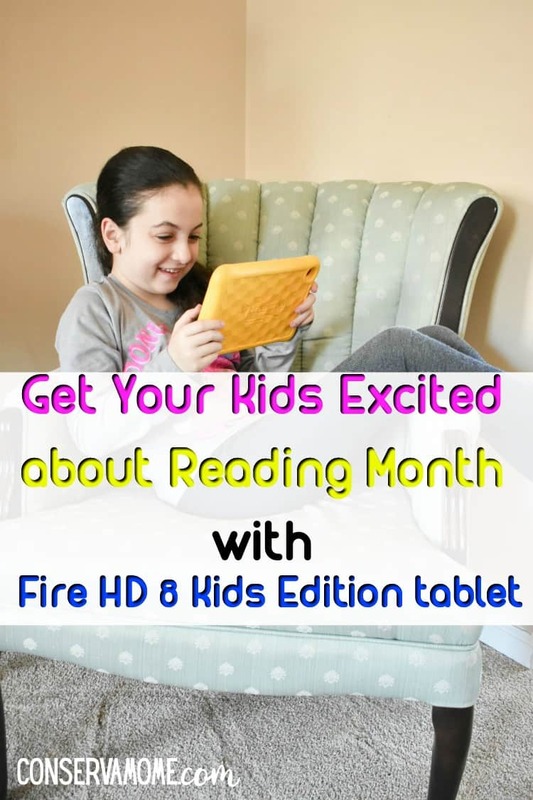 Find out why the Fire HD 8 Kids Edition tablet is the perfect way to get your kids excited about Reading Month. This post was sponsored by Amazon as part of an Ambassador Activation for Influence Central and all opinions expressed in my post are my own. Reading isn’t something that comes easily to many kids. It’s something that for many takes a lot of time and even more effort. For many it’s a struggle just to read the words and for others it’s a lack of interest in the reading materials presented to them. That’s why I’ve fallen in love with the endless possibilities that the Amazon Fire HD 8 Kids Edition tablet has given my kids. 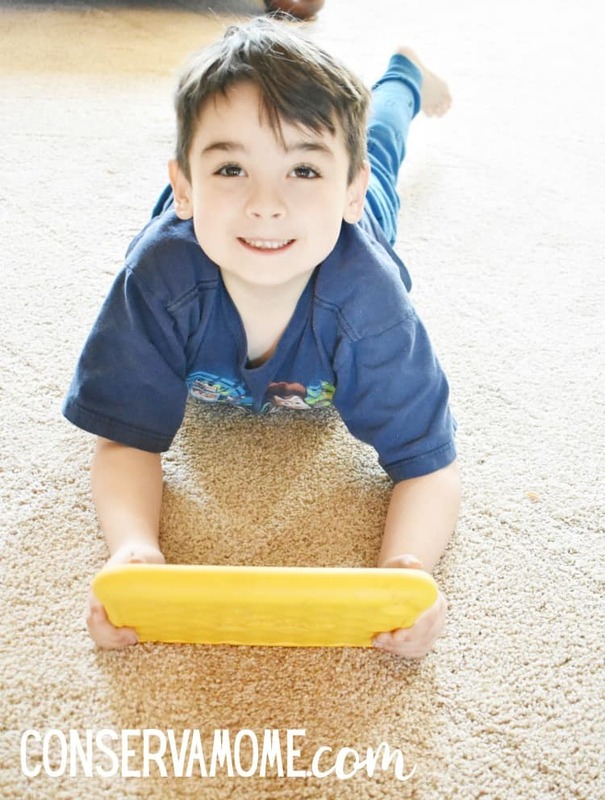 I’ve had the chance to participate in the Fire Kids Edition tablet ambassador program for a few months and It has been such an amazing experience. I have 2 little ones who are starting the reading path and one that has been a struggling reader. Having the opportunity to tap into so many books in one small device has been a game changer. For my 8 year old who’s struggled with reading for a long time, this has allowed her to grow in confidence when it comes to reading. 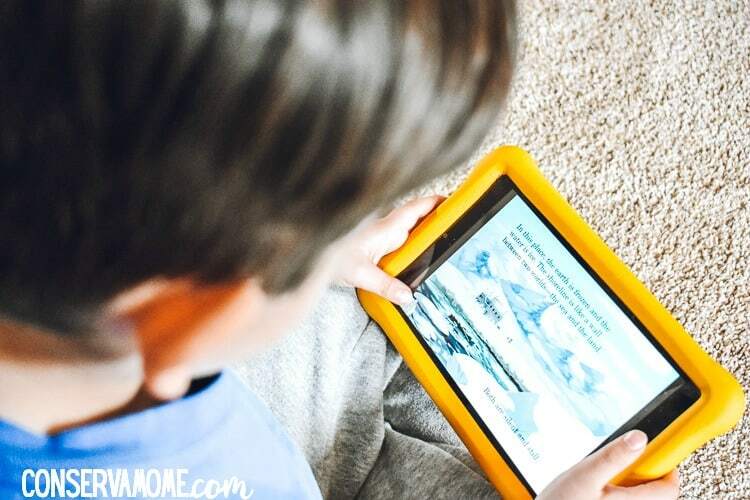 For my preschooler & Kindergartner this tablet has awakened a love of reading and knowledge that is easily supplemented thanks to all the fantastic books, learning games and more that the Amazon Fire HD 8 Kids Edition tablet can supply on demand. The Fire HD 8 Kids Edition tablet has some amazing features that make this the must have tablet for young kids. For starters it’s sturdy! My kids have taken it everywhere including on many adventures. Yet, this sturdy tablet has kept up with them at all times. It’s surrounded by a kid-proof case and if by any chance it does break. It comes with a two-year worry-free guarantee – if they break it, simply return it and Amazon will send a replacement for free, no questions asked. How many kid products do that? But the outside isn’t the only thing that makes the Fire HD 8 Kids Edition tablet unique and pretty amazing. It’s what’s inside that will blow your reader away! 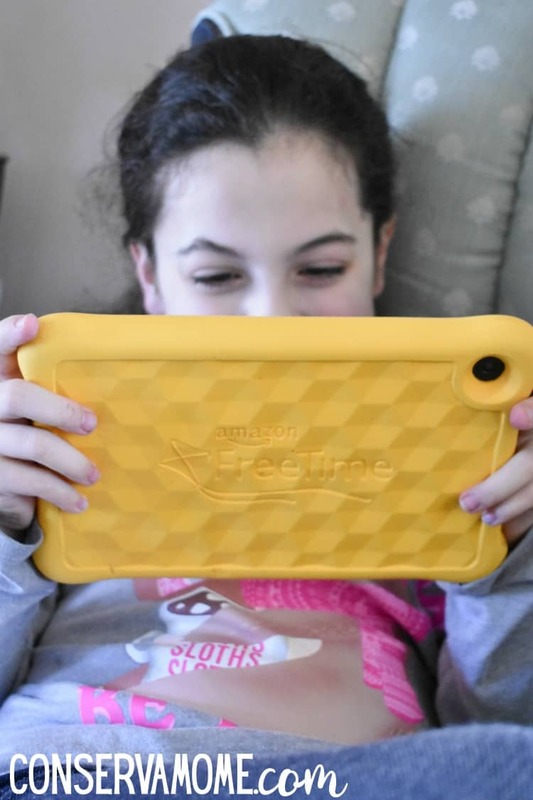 What if I told you had the chance to get access to over 20,000 books, videos, Audible books, educational apps, and games that are age-appropriate and hand-curated by the Amazon FreeTime team, would you do it? Well, thanks to Amazon FreeTime Unlimited your child will have just that! Best of all it comes free for one year with the purchase of your Fire HD 8 Kids Edition tablet . 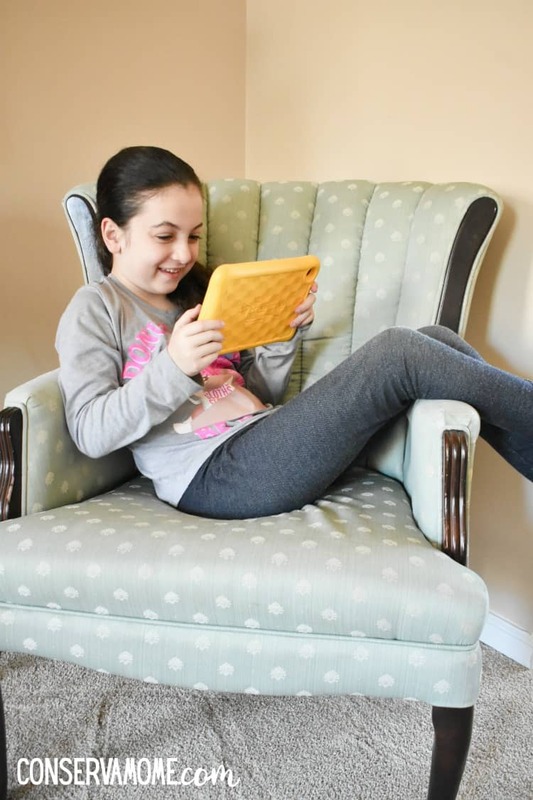 The Amazon Fire HD 8 Kids Edition tablet also gives parents the control. They can control how much and what they do on the tablet thanks to the Parent Dashboard. You can adjust settings to set time limits, adjust age filters, enable/disable web browser access, and choose whether to allow in-app purchasing. On the Parent Dashboard you can even get daily activity reports to help you review the digital content your kids are using. You can determine how to manage time limits and educational goals. Best of all this can all be done remotely! You even get to interact and take what they’re learning to on their tablet to everyday experiences. There are Discussion Cards included on the Parent Dashboard to help you with what your child is learning. You can better understand the content your child is viewing, reading or playing thanks to the carefully curated cards. With the Discussion Cards, the idea is to help parents have more productive conversations about whatever your child is engaging with at the time. The cards may also suggest ways to connect that digital behavior to real life. The Fire HD 8 Kids Edition tablet is an amazing way to help your child develop a love of learning. It will also help get them excited about reading. Best of all you’ll have control over how and what they do on it. Most important head to Amazon and grab a fun Fire HD 8 Kids Edition Tablet for that special kid in your life! All you have to do is enter the sweepstakes below! 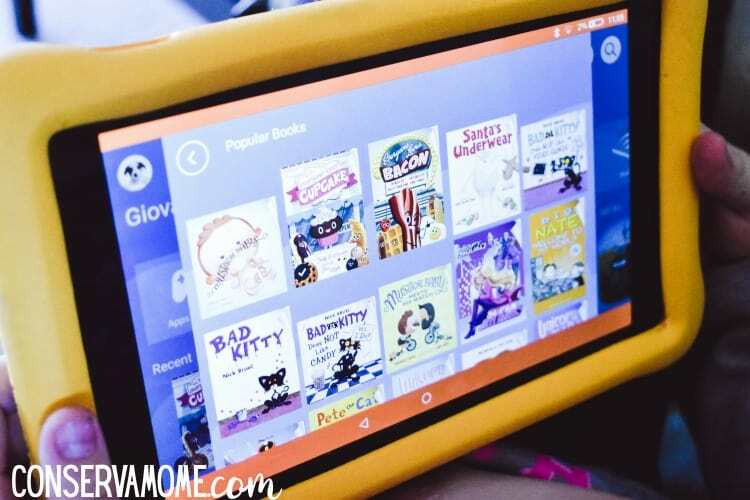 10 lucky winners will get their very own Amazon Fire Kids Edition Tablet! So head below and enter to win! Giveaway ends April 3,2019. Good luck! Disclosure:I-C will randomly select winners from all program entries and Amazon will facilitate fulfillment of the winning prizes of 10 Winners.